Last night I had the pleasure of attending the Frank Stella Retrospective at the new Whitney Museum in Chelsea, right underneath the High Line, one of my favorite spots in the city! 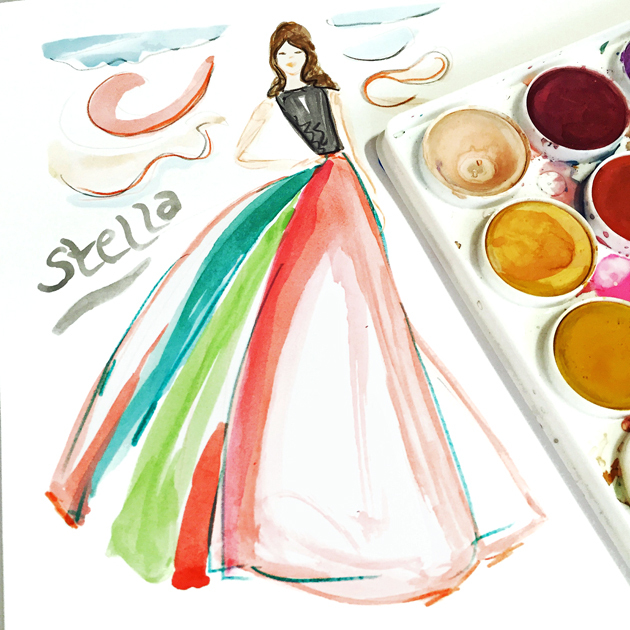 So naturally I was inspired to design and illustrate a dress based on this amazing artist’s penchant for bold color pairings, organic shapes and fluidity of form! 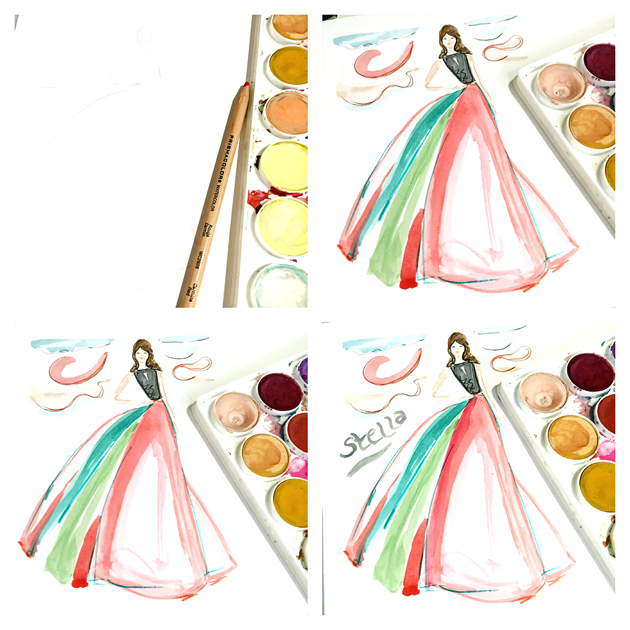 Here’s a little collage showing my process….I always start with a light flesh colored pencil sketch then build layers of color followed by more pencil …. I recommend seeing this show along with a brisk High Line walk and a visit to the Gansevoort Market for a truly artist chic experience!